The Galician Audiovisual Cluster has experienced quantitative growth in the last few years, not to mention qualitative growth. This has been achieved by paying attention to market evolution, discovering new needs and adapting to current demands. We are flexible. We reinvent ourselves again and again so as to always give the optimum response to the companies in the sector while taking into account their new demands. The most outstanding projects of the last dates. For us it is very important to pay attention to the new talents that apply technology in their ideas to create other opportunities and open different ways to exploit. That's why we promote and support the creation of technological content for different online media in search of financing. Conference "Technology transfer in the Audiovisual Sector"
Last Friday, March 29, the first action to disseminate the results of the AUDIENCELAB Big Data project took place at the headquarters of the Galician Audiovisual Cluster, in which different formulas were studied to give content to the project and to which they attended, among others, participating partners such as Adivina Producciones, Congo Producciones, CTV, Ficción Producciones or Televisión de Galicia, as well as the ITG. 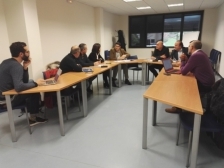 The Galician Audiovisual Cluster advances in the development of the AudienceLab Big Data project for the creation of a pilot to measure the audiovisual consumption of young people in the new platforms. This project focuses both on the implementation of a technological solution that allows the collection of audiovisual consumption data in the new platforms for the definition of audiovisual content, as well as the acquisition of high-level information that makes it possible to segment and define consumption patterns of young people. Companies from the audiovisual and ICT sectors participated between September and November, in Santiago, in the Digitalization Industry 4.0 Workshops, organized by the Galician Audiovisual Cluster in collaboration with the ICT Cluster Galicia and with the support of Igape, with the objective of to promote projects around three topics of interest to the sector: Implementation of a platform for delivery and validation of audiovisual content, Sectoral adaptation of an ERP for the audiovisual sector and Creation of contents in Virtual Reality with interactive capacity to be applied in educational environments. The Galician Audiovisual Cluster leads since 2017 the project Technical feasibility study of the Galician Digital AV Delivery Project (DAVIDeo), in which participated the companies Adivina Producciones, Area 5.1 Audiovisual Factory, CESGA, CTV, Format Productions and Audiovisual Productions Setemedia , and that was supported by the support program for the Innovative Business Groups (AEI) of the Ministry of Economy, Industry and Competitiveness, in its call for the year 2017. The May 27, 2014 in A Coruña the day of the Cluster Audiovisual Galego (Clag) 'Technology transfer in the audiovisual sector',in collaboration with the ICT Centre of A Coruña (CITIC) Research.This event served as meeting audiovisual companies and research center partner CITIC technological potential in the field of ICTtechnologies. 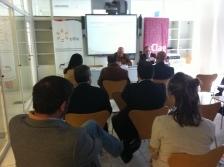 Partners of the Galician Audiovisual Cluster (Clag) and ICT Cluster Galicia met Thursday in Santiago, the opportunities offered by the European program FIWARE and accelerator with open calls in 2015, during a conference organized by the two clusters, in collaboration with the Axencia Galician Innovation (Gain). The CLAG took part in the Render project, which created a complete feasibility study for developing and implementing a viable and sustainable remote rendering model for the animation industry. It should bring together technologies, system architectures, research, development and production capabilities, as well as all relevant infrastructures. It aims to provide any 3D animation studio with a means of increasing its rendering capacity according to its needs. 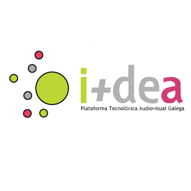 I+dea, the Galician Audiovisual Technological Platform, aims to be an organization where all relevant agents in the technological side of the audiovisual sector in Galicia come together to work and cooperate, creating groups of excellence and scientific-technological coordination in key R&D&I areas for the future of the industry. 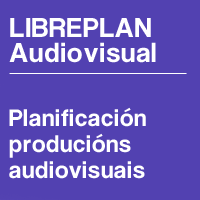 LibrePlan Audiovisual is a sectorial adaptation of LibrePlan oriented to the management of the costs forecast and executionduring the development of audiovisual productions. Its main goal is to cover all the stages related with budget definition, planning and monitoring, from the tracking of the costs point of view. It allows to track the execution of the budgeted items compared with the real expenses and providing an overview of the real costs compared with the forecasts together with the productivity measures obtained. The Galician Audiovisual Cluster (Clag) held today, Thursday, videos of collaborative innovation in order to promote and stimulate innovation initiatives of all kinds between partners. This initiative contributed to the exchange of experiences and good practices and encouraged collaboration between the companies that make up the cluster. The first contest CLAG MEDIA TALENT, organized by the GalicianAudiovisual Cluster (Clag) with the support of Television de Galicia (TVG), the Wednesday, September 17, 2014, in Santiago, was presented at a ceremony attended participation Clag president, Andrés Barbé, and the director of the TVG, Rosa Vilas. This initiative aims to detect new audiovisual talent and connect with the business, resulting in a catalog of innovative formats with commercial viability, after evaluation by a jury will be issued as a pilot for winning the Galician regional channel. 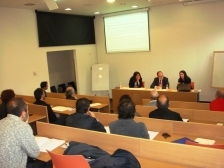 The Galician Audiovisual Cluster (Clag) held the December, 4 2014 in Santiago, the meeting to launch a new project to partner companies in the cluster, AudienceLab. This initiative aims at implementing a "laboratory of hearing" to analyze the elements to be incorporated in future poyecto of companies Clag. We built the brand "Galicia Audiovisual" to put the Galician audiovisual industry within reach of markets around the world With this identification we made our way to new markets and consolidated the image of Galicia as a place with creative talent and cutting-edge technology. This is an opportunity for our partners, since we facilitate the possibilities of access to new business, sales, expansion and collaboration in different projects. 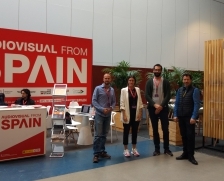 The companies CTV, Ficción Producciones, Intereuropa and Portocabo are already in Lille (France) to participate at Series Mania 2019. These four companies make up the Galician audiovisual delegation in the festival, exclusive for television series, promoted by the Galego Audiovisual Cluster . The 10th edition of this event is held until March 30 at the Grand Palais in Lille. The Galician audiovisual was presented on Monday, February 11, in Berlin, in front of the international film industry, in a meeting held within the framework of the 31st edition of the European Film Market (EFM), which took place from February 7 to 15 in parallel to the Berlinale, and which was organized by the Galician Audiovisual Cluster and the Axencia Galega das Industrias Culturais (AGADIC). 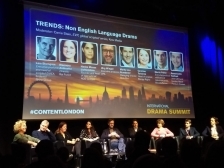 The companies Ficción Producciones and Portocabo will participate this week in Content London 2018, the co-production market for series and content for television that starts tomorrow, Tuesday, in the city of London. Both producers integrate the Galician audiovisual delegation in this forum, which has been promoted by the Galician Audiovisual Cluster. The companies CTV, S.A., Intereuropa TV and Spica, S.L. 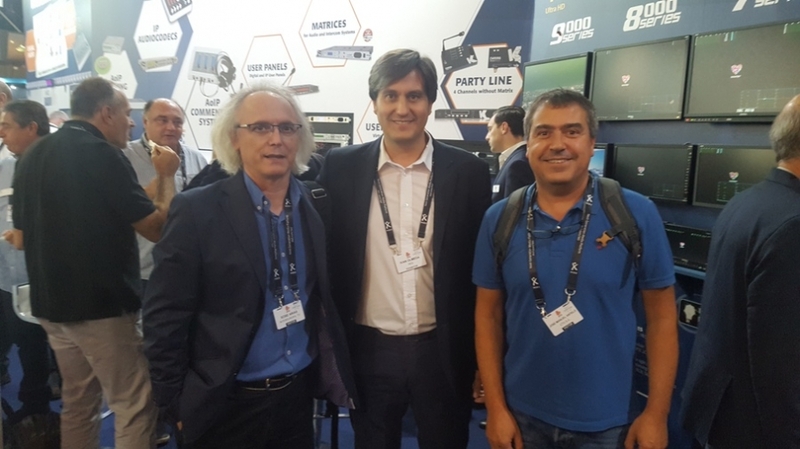 formed the delegation of the Galego Audiovisual Cluster at the IBC 2018 fair, which was held from September 14 to 18 in Amsterdam. 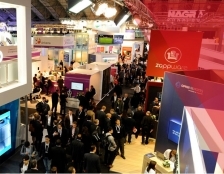 His presence in IBC allowed the Galician audiovisual companies to create new business opportunities and learn first-hand the trends and innovations in the field of electronic media. The Galician Audiovisual Cluster led, since last year, the launch of a sectorial platform of international competitive intelligence. Since January 1, 2018, the Cluster partners participating in the project can learn about the worldwide trends of all types of audiovisual formats by accessing the Wit Fresh TV database service of Swiss consulting firm The Wit. A valuable information channel that offers added value for the external projection of your business. 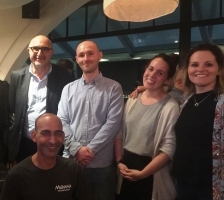 With the aim of supporting the creation of innovative projects and the digital content sector in Galicia and promoting its internationalization, the Galician Audiovisual Cluster held a networking meeting last week in A Coruña between Galician audiovisual companies and company representatives. British and American players of the animation and new media sector. With the aim of promoting the export of the Galician audiovisual sector, the Galego Audiovisual Cluster organized two reverse commercial Missions with Germany and Latin America, within the framework of the second edition of the international fiction co-production forum for television Connect FICTION, which took place in Santiago of Compostela from June 18 to 21. The Cluster promoted meetings between its companies and potential German and Latin American co-producers and distributors. 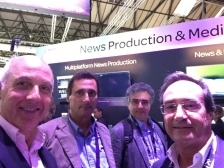 Four companies make up the delegation of the Clúster Audiovisual Galego at the IBC 2017 fair, to be held from 15 to 19 September in Amsterdam. An inescapable event in the sector of broadcasting, television and multimedia technologies applied to communication, where the latest market developments are presented and serves as a meeting point for the main players in the industry. The Galician Audiovisual Cluster is present today, Monday 16, in a new edition of the Mipcom fair in the French town of Cannes, to promote and support the internationalization of the Galician audiovisual industry. Among the objectives of the entity is also to spread all the talent and quality of Galicia through audiovisual products and promote their consumption. Twelve Galician producers and Axencia Galega das Industrias Culturais (Agadic) formed part of the commercial delegation that participated in the European Film Market (EFM) in Berlin, the international reference fair that took place in parallel to the Berlinale from the 9th to the February 17th. Under the brand "Films from Galicia", which in 2017 premieres the image, the Agadic started the foreign promotion of feature films this year. Moving towards an enterprising and proactive audiovisual sector has been another of our challenges and objectives. Dynamizing sectorially we managed to consolidate initiatives created and the organization of new events that completed our program. Thanks to this we stimulate the creative exchange of ideas and the production of formats to spread to the general public. 12th edition of the pitching "I + P Ideas to produce"
11º Pitching "I+P Ideas to produce"
Santiago hosted last Friday, the 14th, the 2nd edition of the Pitching TFG (Final Degree Projects), organized by the Galician Audiovisual Cluster, in collaboration with the three Universities of Galicia, through the Audiovisual Communication faculties. During the day, 16 projects were presented to companies from the audiovisual and ICT sectors. 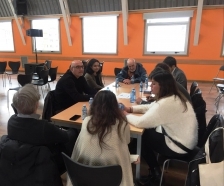 Pontevedra hosted the 12th edition of the "I + P Ideas to produce" pitching on November 20 and 21, in which more than a hundred audiovisual professionals from all over Spain participated. More than a hundred audiovisual professionals from across Spain participate, on 22 and 23 November in Santiago, in the 11th edition of the pitching "I + P Ideas to produce", organized by the Galician Audiovisual Cluster, in the search for funding or distribution for your projects. The I + P connects film and fiction projects in different stages of development with television channels, producers and distributors of first level and aims to promote commercial agreements for the production or sale of new projects. The 1st edition of the Pitching TFG (Final Degree Projects), organized by the Galician Audiovisual Cluster in collaboration with the Universities of Vigo and A Coruña, hosted last Friday, the 15th, in Santiago, the presentation of 13 audiovisual projects of students of these two Universities in front of professionals from the Galician sector. During the day, the students had the opportunity to test their work with partner companies of the Cluster, and they were able to know the evaluations of the producers regarding the projects. 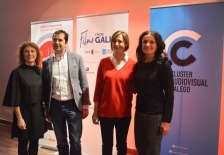 The City of Culture of Galicia hosted, in Santiago, a new edition of the "Colloquium Clúster" organized by the Cluster Audiovisual Galego between representatives of the Institute of Sciences and Cinematographic Arts (ICAA) and the audiovisual sector Of Galicia. 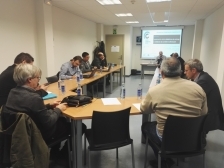 On Friday, December 15, the Pre-workshop took place in Santiago: "Use by companies in the audiovisual sector of the IGAPE Industry 4.0 digitization aid line", organized by the Galego Audiovisual Cluster for partners, in collaboration with the ICT Cluster Galicia. 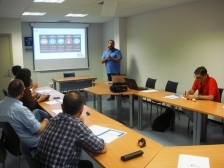 During the meeting the conditions of the new aid of the autonomous body to the digitalisation Industry 4.0 were exposed, so that the companies of the audiovisual sector make an optimal use of them. 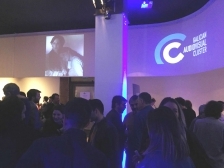 The Galician Audiovisual Cluster celebrated on May 24 at its headquarters in Santiago, a day on Taxation for the Production of Audiovisual Content, in collaboration with Barrilero and Associates. We have a business and technological training offer available to our partners. In the Company Plan, we provide management tools in the financial, legal, marketing and marketing areas. While in the Technological Plan our objective is to train audiovisual technicians in the latest techniques.